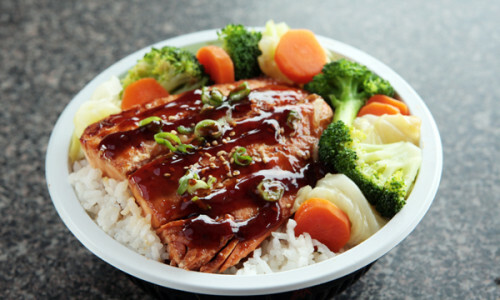 Your choice of chicken, Angus beef, veggie (or combo), shrimp, or wild-caught Atlantic salmon served over a bowl of our premium rice. 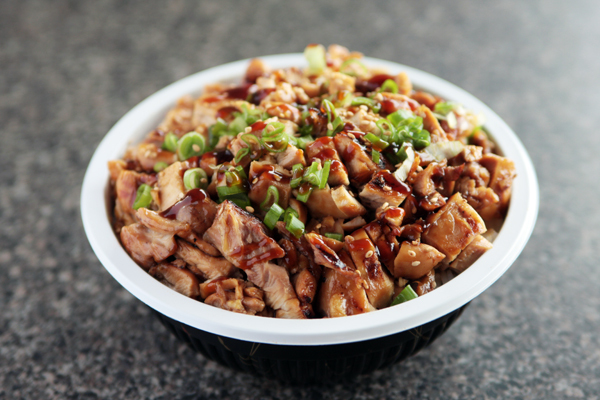 Can be served with or without our house secret teriyaki sauce. 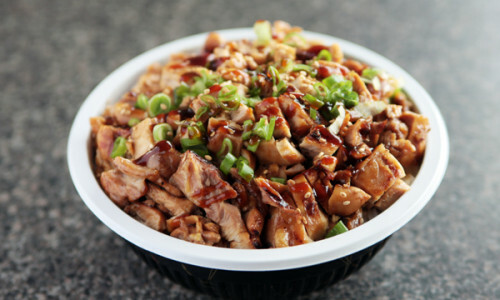 Succulent pieces of premium chicken with our special teriyaki sauce, served over steamed rice. 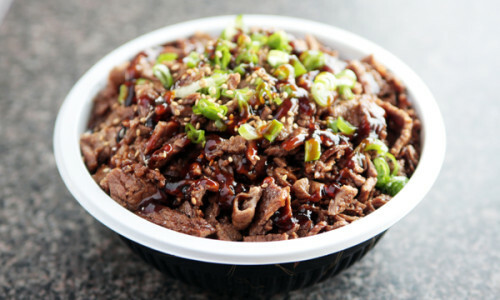 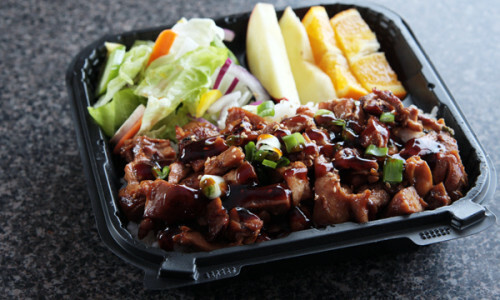 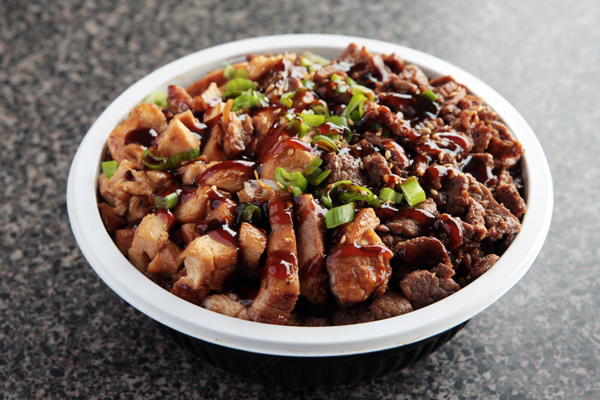 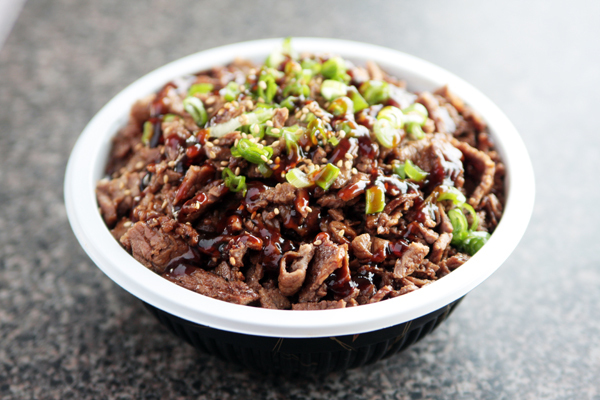 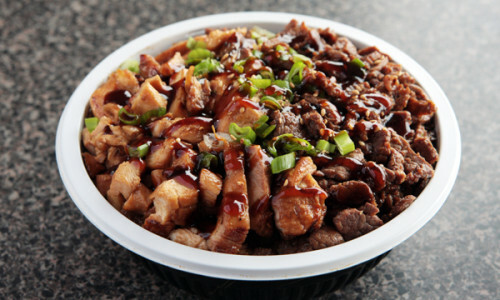 Sliced premium Angus beef glazed with our special teriyaki sauce, served over steamed rice with scallions on top. 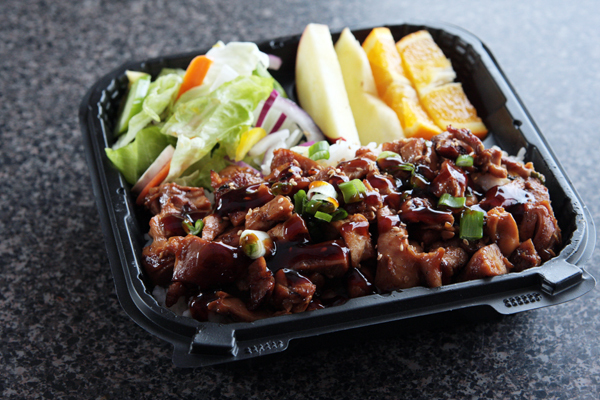 Half teriyaki chicken, half teriyaki beef — served over steamed rice. 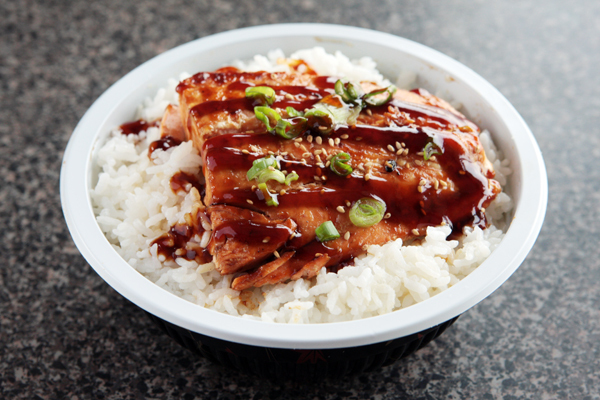 Premium wild-caught Atlantic salmon filet glazed with our special teriyaki sauce, served over steamed rice. 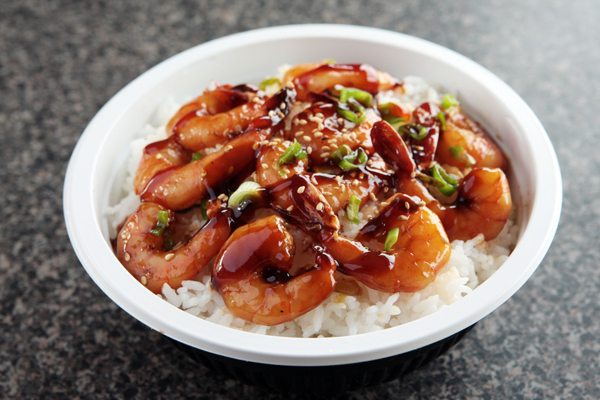 Cooked-to-order shrimp glazed with our special teriyaki sauce, served over steamed rice. Steamed veggies (broccoli, carrots, cabbage, mushrooms), served over steamed rice (w/ or w/out teriyaki sauce). 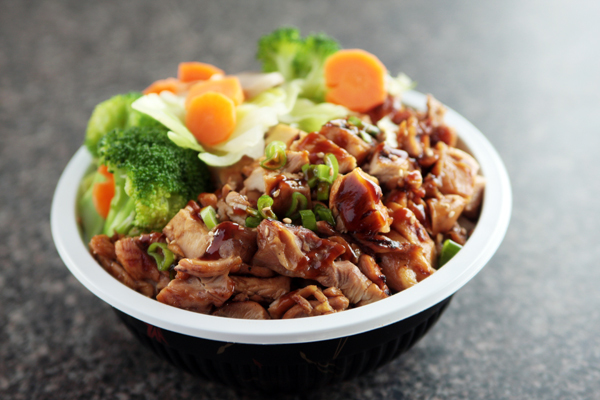 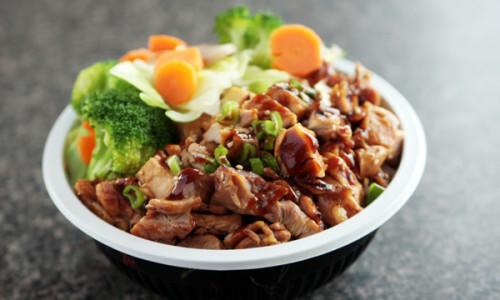 Succulent pieces of premium chicken with our special teriyaki sauce and steamed veggies (broccoli, carrots, cabbage, mushrooms, scallions), served over steamed rice. 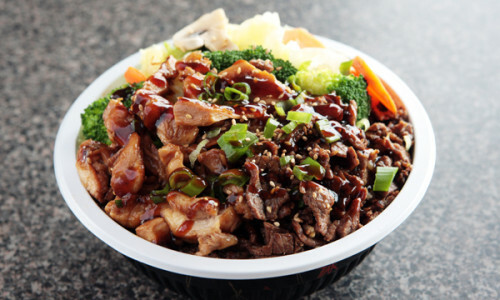 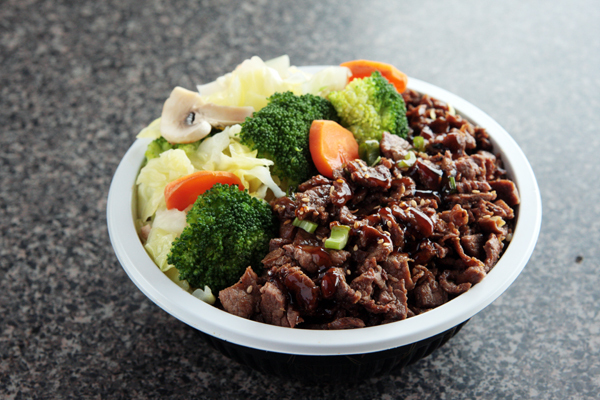 Sliced premium Angus beef with our special teriyaki sauce and steamed veggies (broccoli, carrots, cabbage, mushrooms, scallions), served over steamed rice. 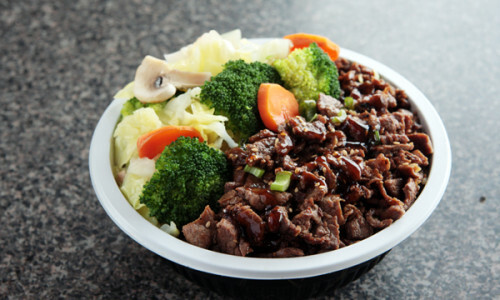 Half teriyaki chicken, half teriyaki beef and steamed veggies (broccoli, carrots, cabbage, mushrooms, scallions), served over steamed rice. 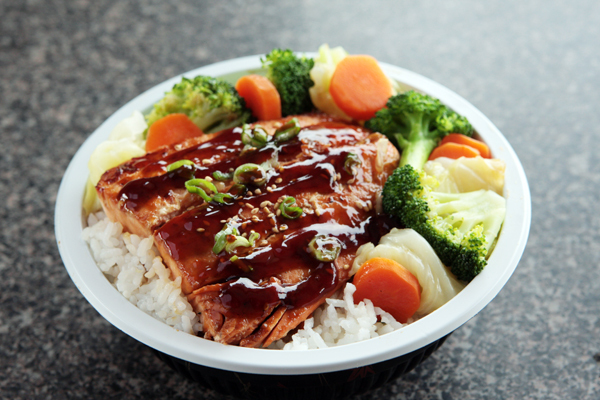 Premium wild-caught Atlantic salmon filet glazed with our special teriyaki sauce and steamed veggies (broccoli, carrots, cabbage, scallions), served over steamed rice. 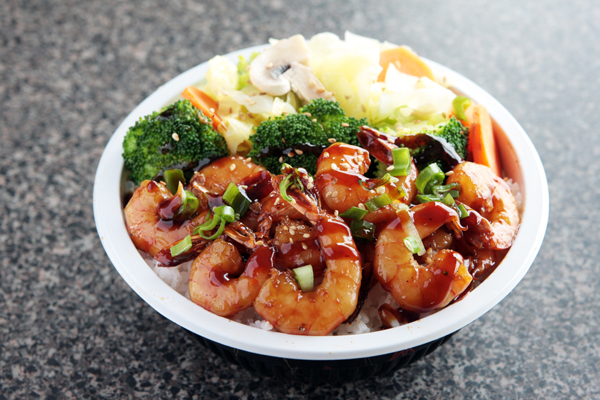 Cooked-to-order shrimp glazed with our special teriyaki sauce alongside steamed veggies (broccoli, carrots, cabbage, scallions) served over steamed rice. 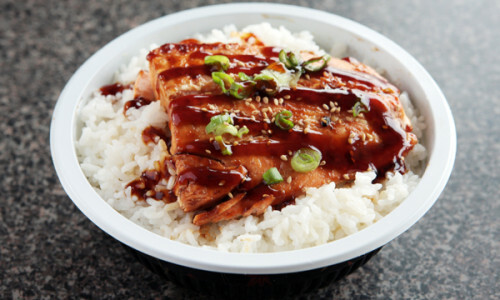 Your choice of chicken, Angus beef, veggie (or combo), shrimp, or wild-caught Atlantic salmon served over a bowl of our premium rice. 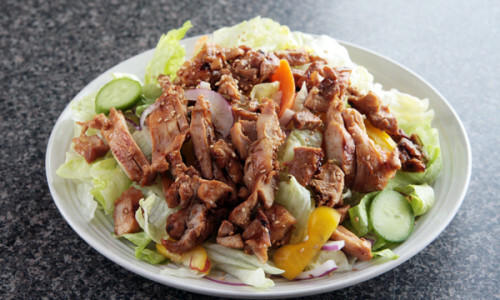 Includes fresh fruit and salad. 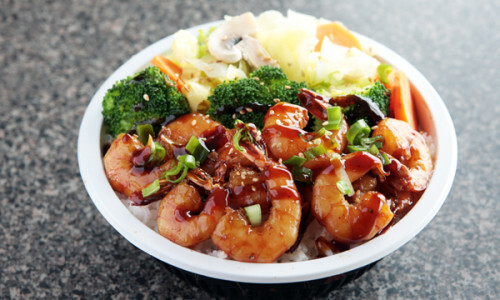 Can be served with or without our house secret teriyaki sauce. 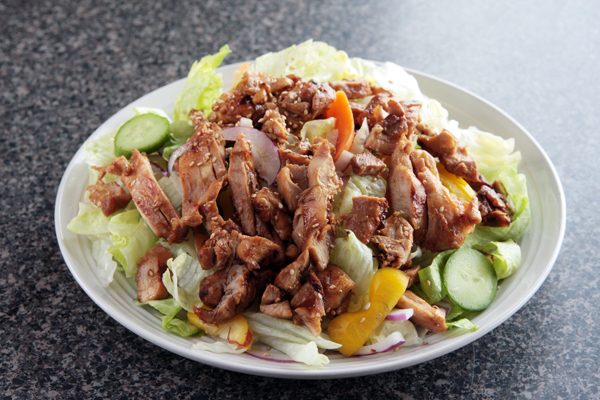 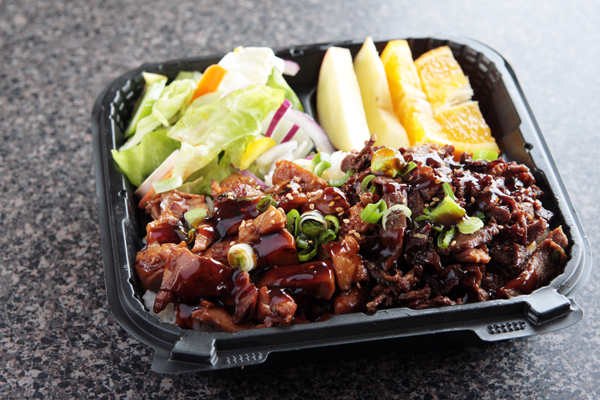 Succulent pieces of premium chicken with our special teriyaki sauce, served over steamed rice, with fruit and salad. 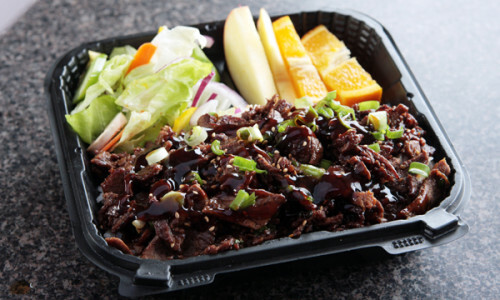 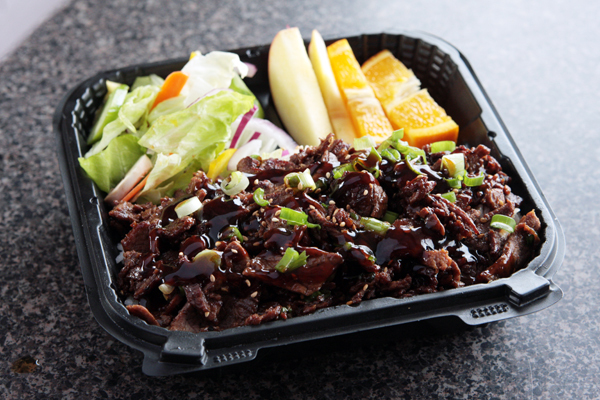 Sliced premium Angus beef with served over steamed rice, with fruit and salad. 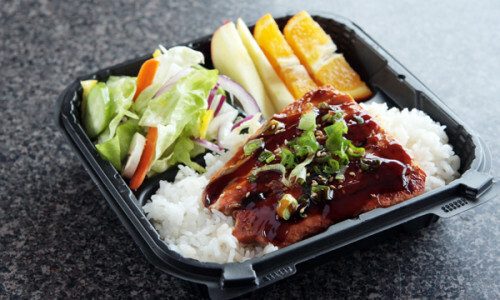 Half teriyaki chicken, half teriyaki beef — served over steamed rice, with fruit and salad. 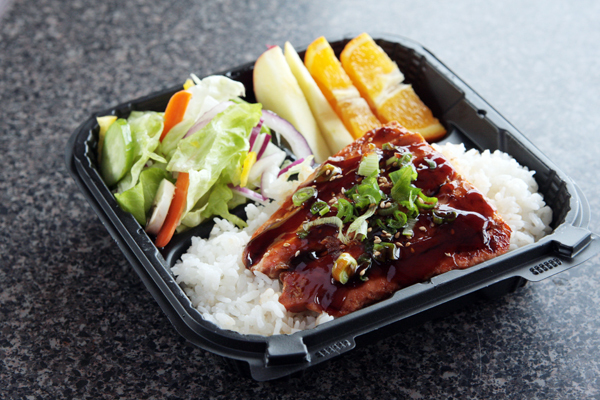 Premium wild-caught Atlantic salmon filet with our special teriyaki sauce served over steamed rice, with fruit and salad. 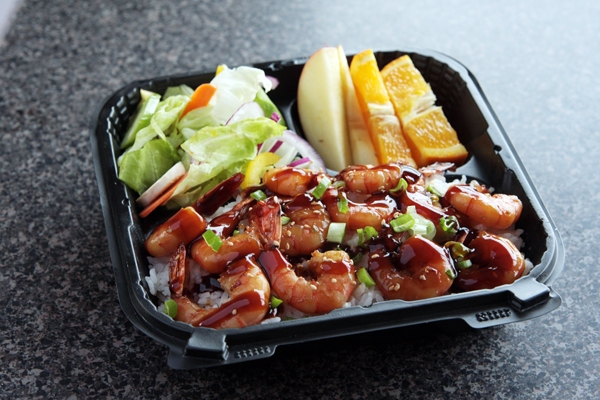 Cooked-to-order shrimp glazed with our special teriyaki sauce served over steamed rice, with fruit and salad. 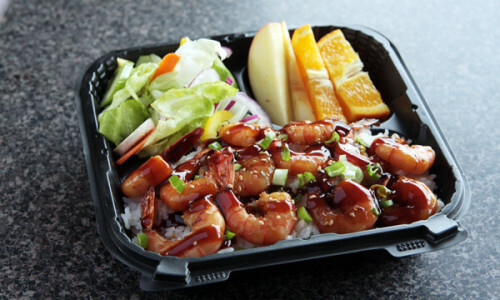 Your choice of chicken, Angus beef, veggie (or combo), shrimp, or wild-caught Atlantic salmon served over our premium rice, plus a California roll and choice of our popular miso soup or green salad. 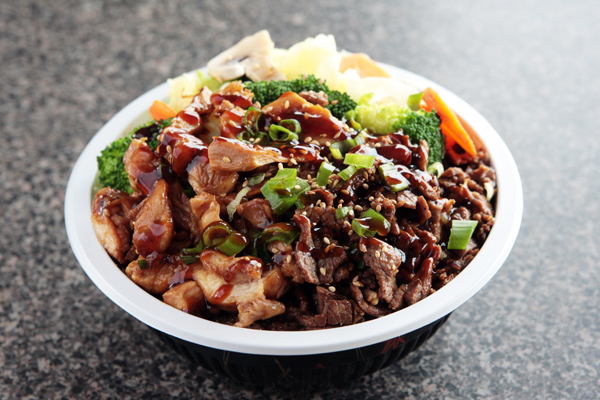 Can be served with or without our house secret teriyaki sauce. 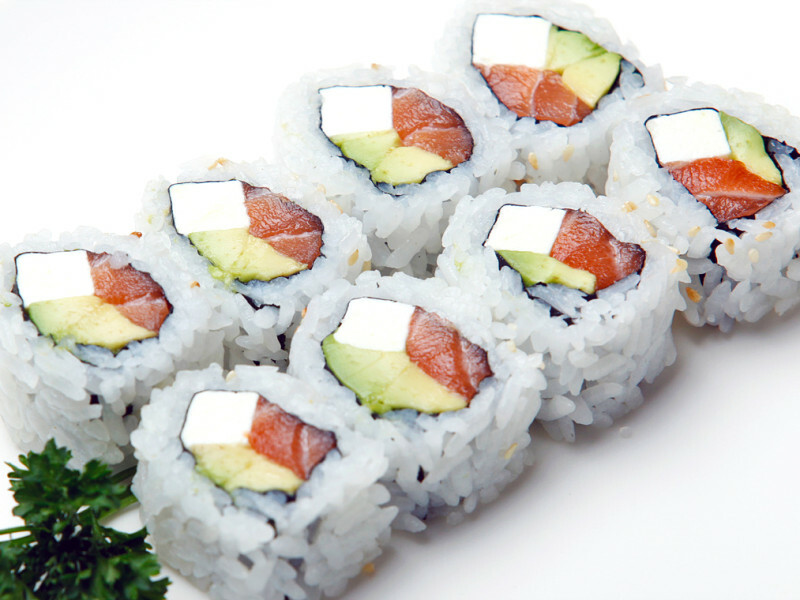 We use premium wild-caught Atlantic salmon. 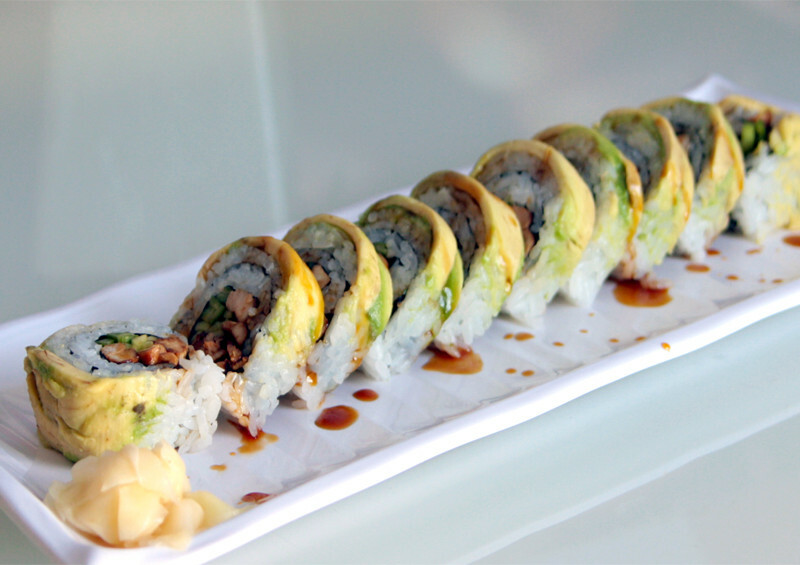 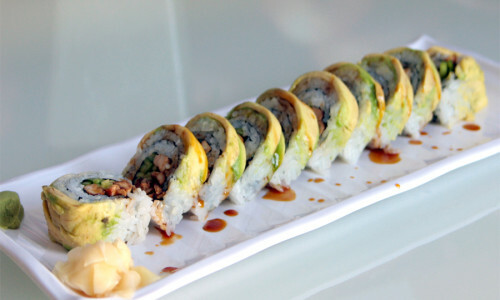 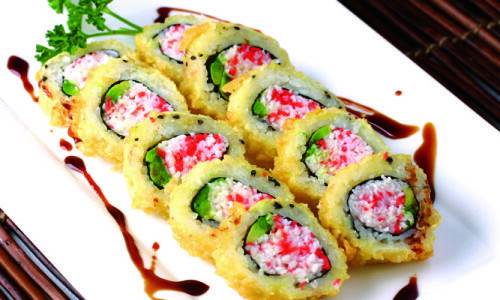 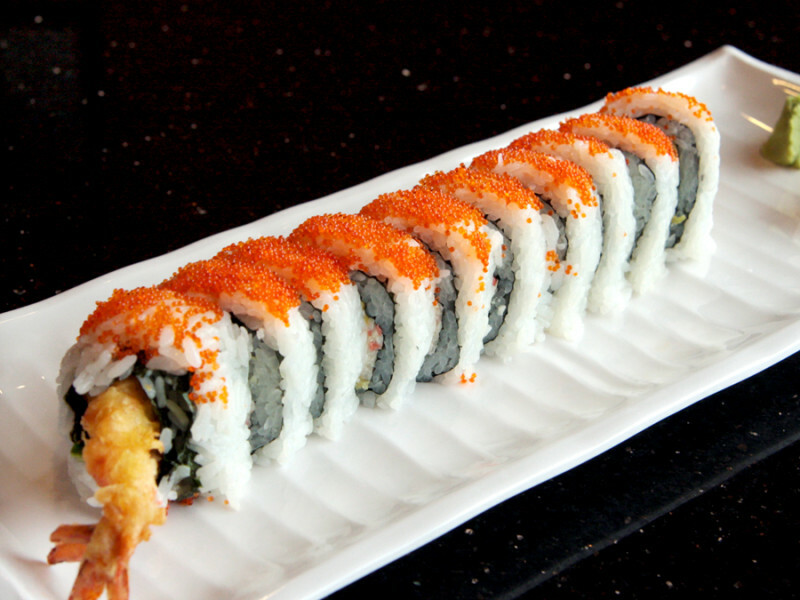 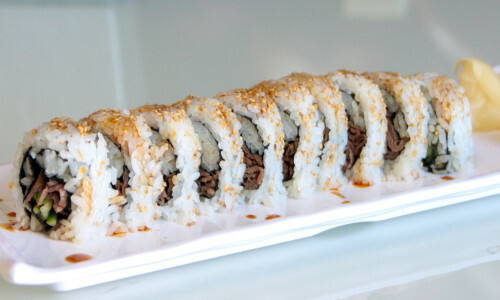 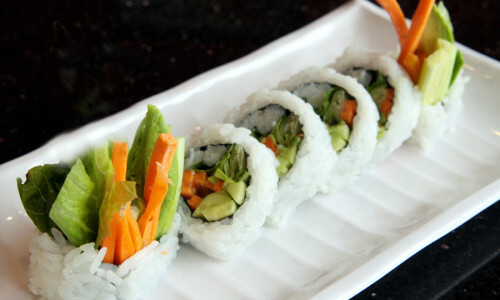 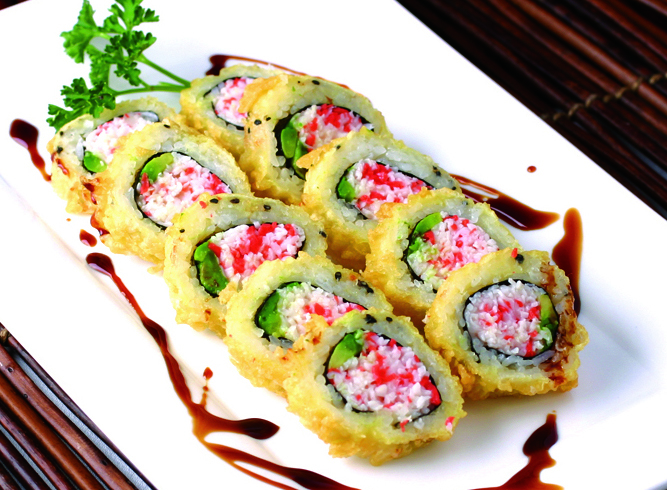 Our trained sushi chefs hand make each sushi roll fresh to order. 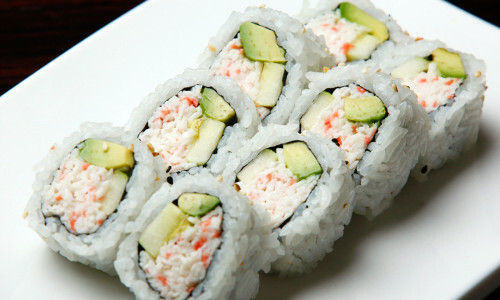 In: avocado, cucumber, surimi (imitation crabmeat). 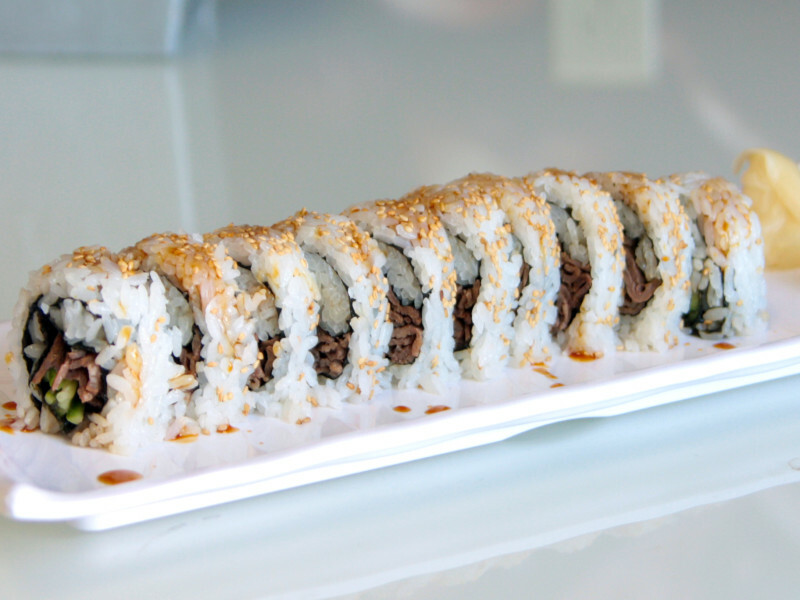 Out: sesame seeds. 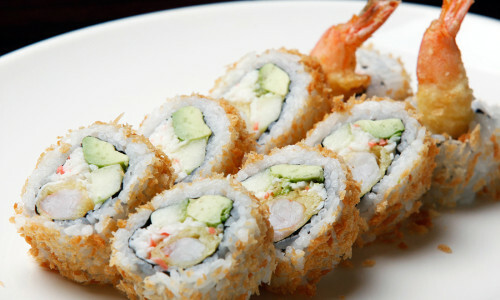 In: shrimp tempura, avocado, cucumber, surimi (imitation crabmeat). 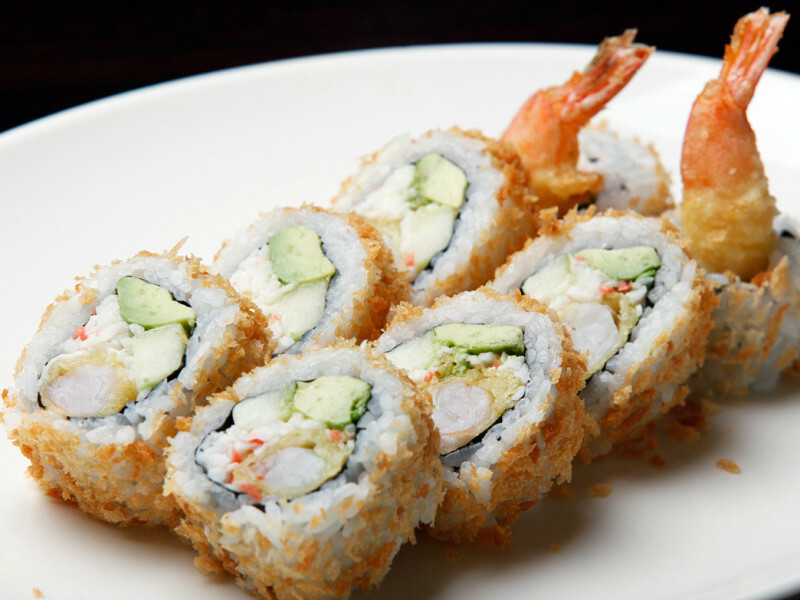 Out: crunchy tempura flakes. 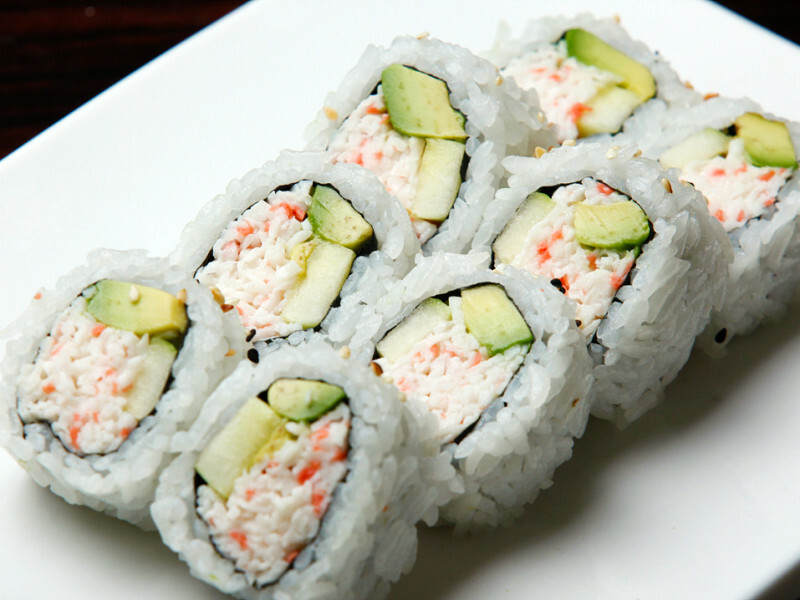 In: shrimp tempura, avocado, cucumber, surimi (imitation crabmeat). 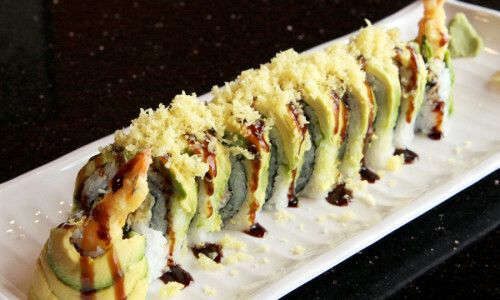 Out: avocado with tempura flakes. 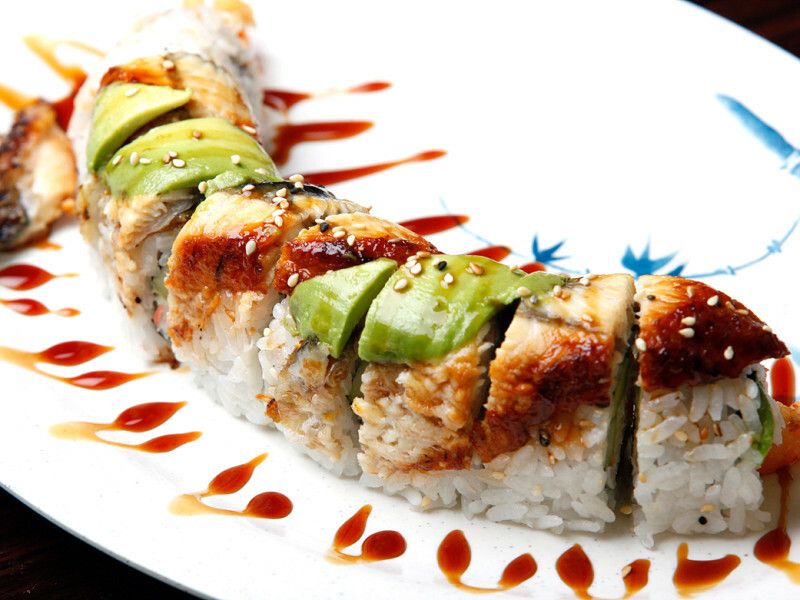 In: eel, cucumber, surimi (imitation crabmeat). 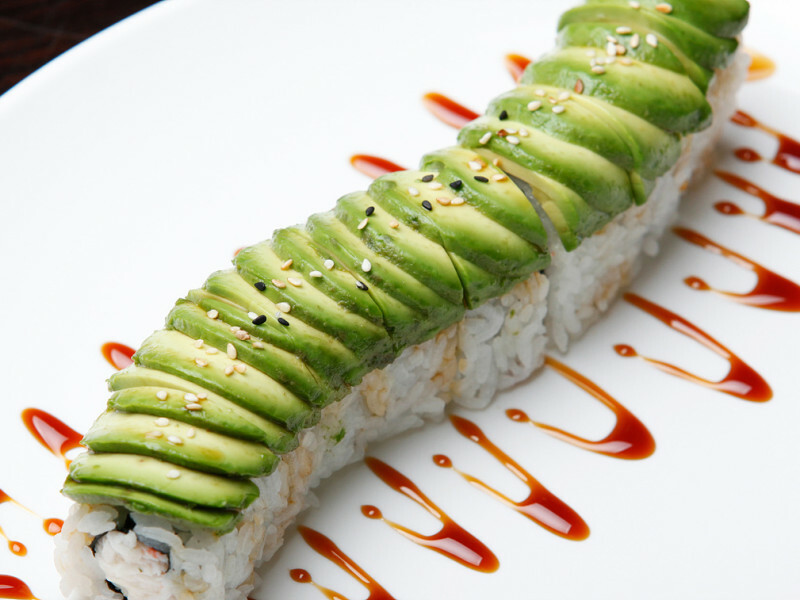 Out: avocado. 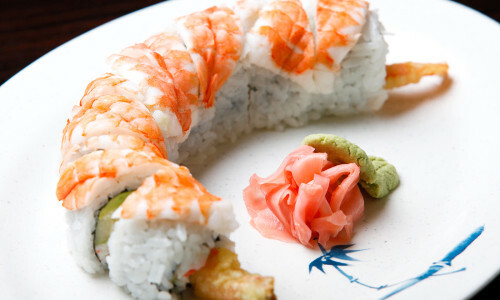 In: shrimp tempura, cucumber, avocado, surimi (imitation crabmeat). 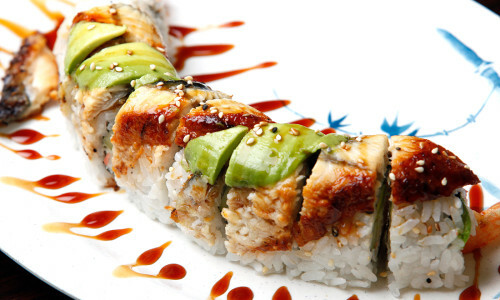 Out: grilled eel. 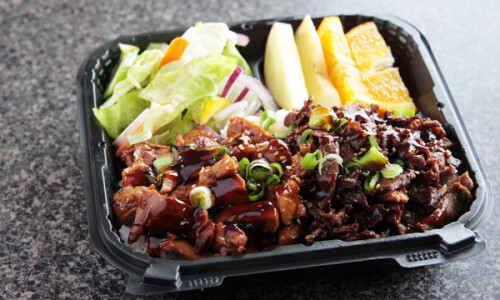 In: teriyaki chicken, cucumber. 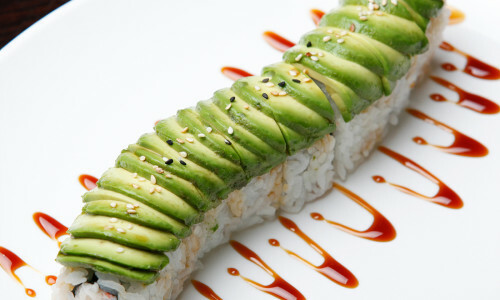 Out: avocado, teriyaki sauce. 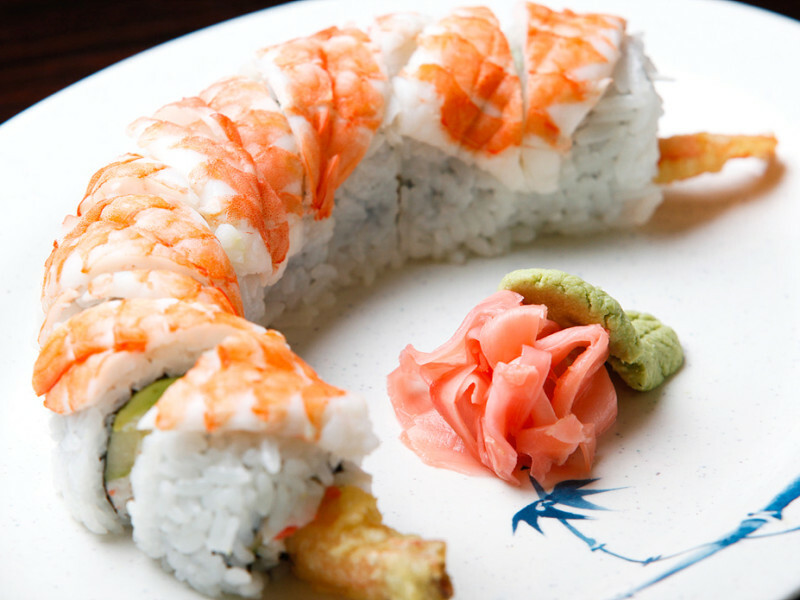 In: shrimp tempura, surimi (imitation crabmeat), avocado, cucumber. 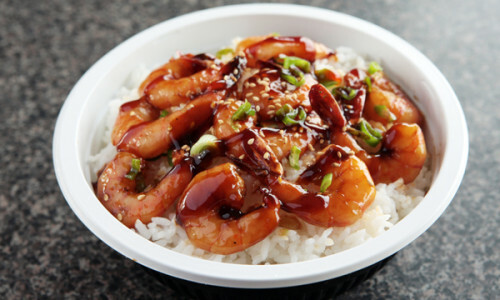 Out: cooked shrimp. 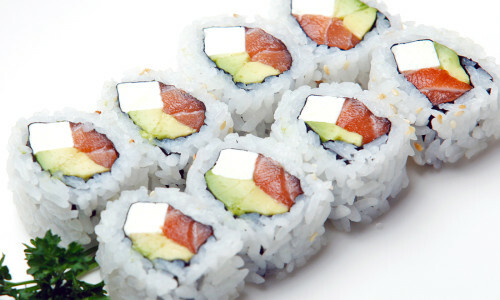 In: cream cheese, cucumber, smoked salmon. 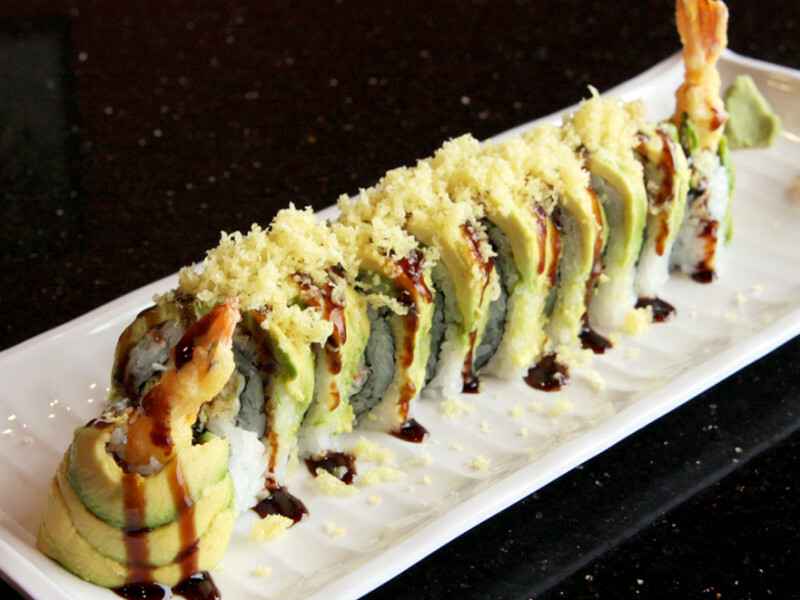 In: deep-fried jalapeño, shrimp tempura, eel sauce, cucumber, avocado dressing. 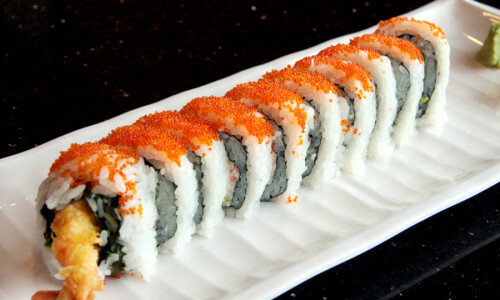 Out: masago, hot sauce. 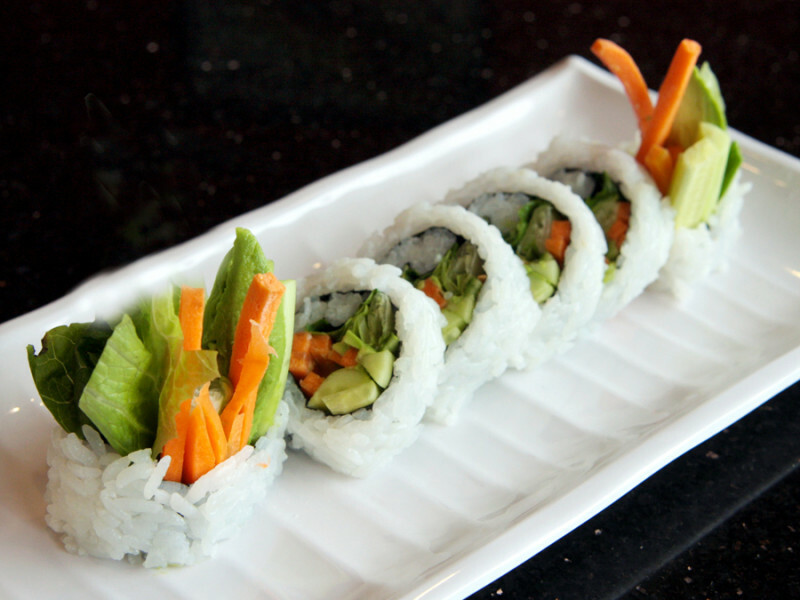 In: cucumber, avocado, lettuce, house dressing. 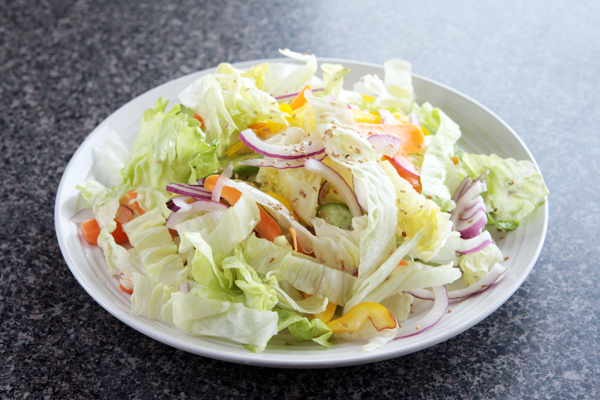 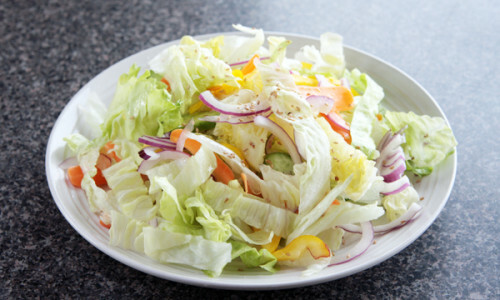 Fresh green salad (lettuce, avocado, tomato, cucumber, red onion, etc.). 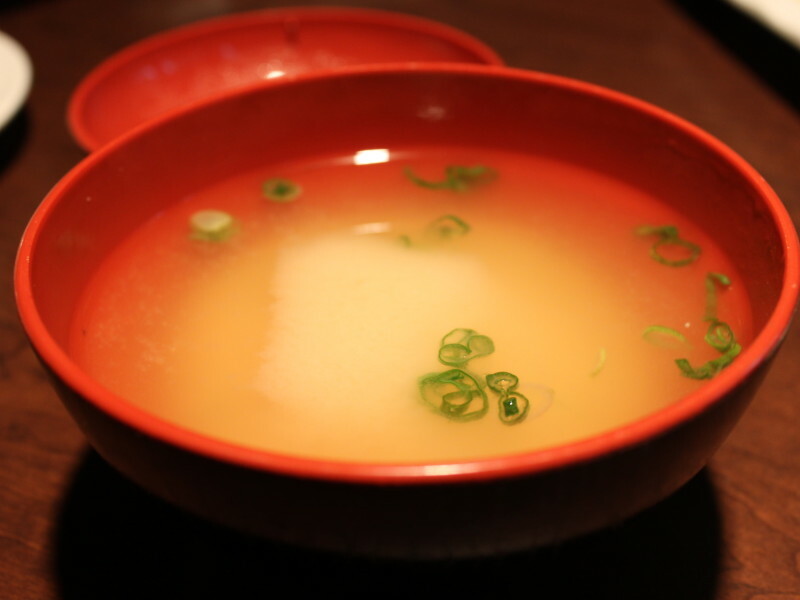 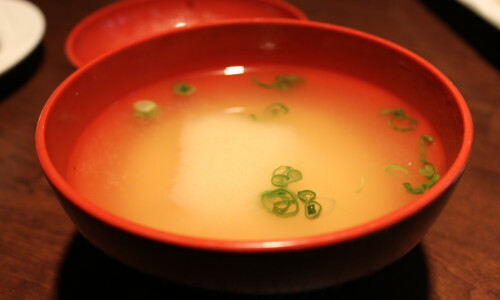 Tofu, seaweed and green onions in a savory miso broth with a kick. 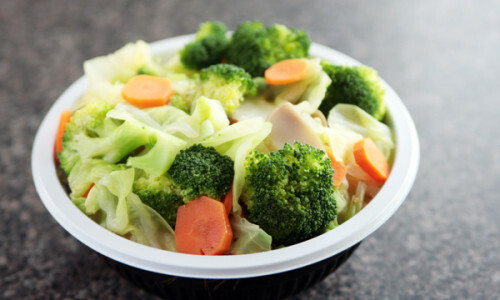 Your choice of Coca-Cola, Diet Coke, Sprite, etc.